One man is in custody and another in the ICU at Alaska Native Medical Center in Anchorage after a shooting around midnight Wednesday in Dillingham's HUD housing area. The 26-year-old Dillingham resident is the second person to be banned by the Togiak traditional council in the past year -- both because of allegations they imported drugs and alcohol into the dry community. For decades, residents of Aleknagik have had to walk, snowmachine or boat across the Wood River just to get to the other side of town. The crossing can be deadly. Dillinghams request to annex the Nushagak commercial fishing district is officially on hold while a competing request from Manokotak catches up. Bogoslof Island, the tip of a mostly submerged stratovolcano in the Aleutians, is only a few hundred years old. 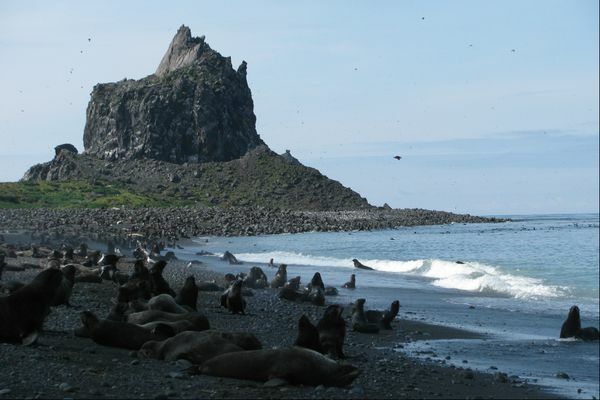 It's northern fur seal populations meanwhile is only a few decades old. But it's growing, a fact that's drawing marine mammal researchers. Under terms of a plea deal, 50-year-old Morris Bernard Lopez -- who authorities said fired his rifle several times from the deck of the fishing vessel Sandra Marie -- will spend 10 days in jail, forfeit the rifle and serve two years probation during which he cannot drink alcohol. Gridlock over who has access to the Marine Stewardship Councils blue sustainability label appears to finally be over. The Pacific Salmon Processors Association, or PSPA, will take over the MSC clientship from the Alaska Salmon Processors Association by October. Any processor will be able to join the new group. The Super Cub lost power shortly after takeoff Monday as it was departing Shannon's Pond, a popular Dillingham float plane base. 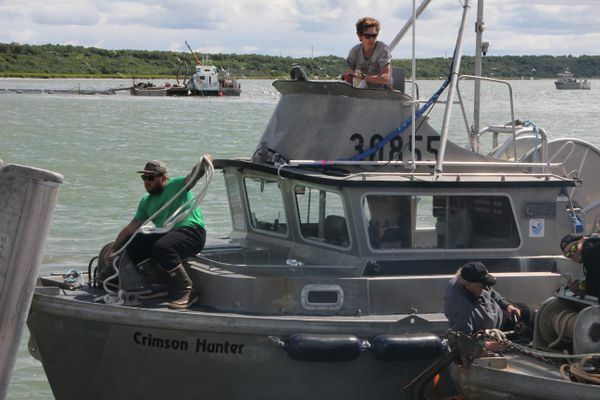 Alaskas largest sockeye salmon fishery was predicted to have a near-record return this summer, but so far the reds have only trickled into Bristol Bays rivers.